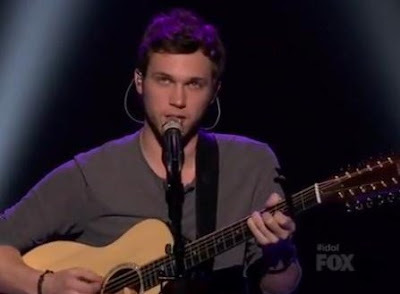 American Idol Season 11 finalist top 2 "Phillip Phillips" need to undergo kidney surgery but chose to skip the surgery just for the American Idol finale. He and Jessica Sanchez will compete next week for the next AI winner for this season. According to TMZ website, Phillip Phillips need surgery really bad. The singer decided to postpone the surgery despite of the advised of his doctor to go under the knife immediately. Next week, Phillips and Sanchez will need to perform 3 songs for the American Idol performance finale on Tuesday (Wednesday in Manila). Meanwhile, The American Idol Season 11 final results episode will be air on the following day. Comments or suggestions about "Phillip Phillips skip kidney surgery for American Idol finale" is important to us, you may share it by using the comment box below.